This post NOT meant to be the most comprehensive source of nutritional information about these 5 foods. I could go on and on for pages to share what I know and believe about their nutritional values but it is NOT my point here. I am keeping this type of information in this article as simple as possible on purpose. My main hope is to inspire you to take up the challenge and see the results for yourself. I challenge you to have at least one of these 5 foods at least once a day for 5 days in a row. Tell me in the comments if you are willing to take up that challenge, and then come back to this page after your 5-day challenge to share your experience. Which foods did you prefer? And did you notice any difference? I LOVE to eat! I am French and eating is just a cultural thing for me. I even remember that during the first internship I did when I was studying in France in the early 90s, there was a break for lunch and some people would actually go back home to have lunch and then come back to work in the afternoon! Now it’s more like eating a sandwich in 30 minutes in front of the computer!! Bananas contain tryptophan, one of the primary components of serotonin — a neurotransmitter responsible for maintaining mood balance. Bananas are also rich in potassium, an essential mineral in the body for regulating blood flow and blood pressure. The beauty about bananas is that they are so easy to carry around and eat anywhere any time. They are also very easy to store outside the fridge and for a long time… You can buy them green and wait until they are ripe. And they are cheap! Ripe bananas are easier to digest. You can recognize them by their dark spots on the skin. I usually get them as ripe as possible. I have gotten kilos and kilos of bananas for a discount or for free because the store keepers thought they were too ripe to sell at a full price. Apart from eating plain bananas, I LOVE crushing them with a fork into a paste or mixing a few with a blender into a banana smoothie. What about you? Do you like bananas very ripe or almost green? What’s YOUR favorite way to eat bananas? Like bananas, avocados also contain tryptophan, one of the primary components of serotonin — a neurotransmitter responsible for maintaining mood balance. Avocados are also rich in fatty acids and vitamin 6, among other elements essential to our body’s health. Avocados are trickier to choose… they can get too ripe if you wait too long, but they can also be hard and tasteless if you don’t wait long enough. By now, you have hopefully developed your own test to choose your avocados. I gently press the avocado looking for the skin to bend under my fingers but not too much. I have learned to run away from air bubbles in avocados. What about you? What’s YOUR favorite way to eat avocados? And have you ever tried a banana/avocado/mango smoothie? 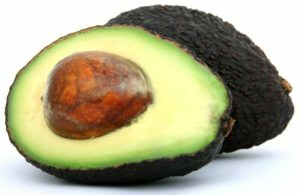 And did you know that there is a controversy about eating avocado pits/seeds? In case you would like to try it for yourself, here is an example of how to eat avocado pits/seeds. Like bananas and avocados, pumpkin seeds also contain tryptophan, one of the primary components of serotonin. 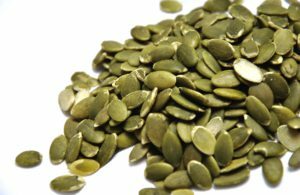 Pumpkin seeds are also rich in magnesium, an essential mineral for our health, and one that we often need more of. I have tried soaking pumpkin seeds before eating them but the results were not satisfactory so I just eat them plain or with raisins. There is something about mixing pumpkin seeds and raisins that I cannot explain here. The sensation I get when I eat them together really makes me feel that they somehow belong together but I have not yet found a nutritional explanation of why that could be. What about you? What’s YOUR favorite way to eat pumpkin seeds? And have you ever tried mixing pumpkin seeds and raisins? Almonds are rich in tryptophan (like bananas, avocados and pumpkin seeds), magnesium and vitamin E.
I really LOVE the combination of almonds and something sweet like maple syrup or honey. My ideal is a vegan diet, for idealistic reasons, but I sometimes have some animal products such as honey and cheese… well, I have not tried mixing almond with cheese yet but I’m sure it wouldn’t be bad… I have added almond butter to soups and it did give them a delicious taste and a smoother texture. So why not cheese? What about you? What’s YOUR favorite way to eat almonds? And have you ever tried mixing almonds with honey or another sweetener? 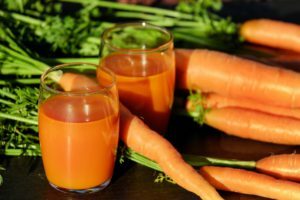 A Harvard study showed a link between high levels of carrotenoids and a better mood, although they were not sure which came first… Are people feeling happier because they have higher levels of carrotenoids or do happy people tend to be attracted to eat fruit and vegetable rich in that substance? One thing I know is that in France, we say that carrots make you nice “Les carottes rendent aimable” (no, “aimable” does not mean “lovable”, although I guess we can be more lovable when we are nice to others. 🙂 ). Carrots are also good for the liver. Chinese medicine links the liver with anger. So, better liver, less anger, better mood, more happiness? Why don’t you try for yourself? Carrots are even easier to store and carry around than bananas. I have had a few accidents of crushed bananas in a bag… that never happened with carrots! 😉 You can also eat them any time and anywhere. I personally LOVE grated carrots with a bit of olive oil and apple cider vinegar and good quality salt like Himalayan or Celtic salt. I am also an adept of home-made carrots juice. Either just plain carrot juice or with a bit of ginger and/or turmeric and/or apples. What about you? What’s YOUR favorite way to eat carrots? Well, that’s my selection for today. To keep it simple and safe, I challenge you to have at least one of these at least once a day for 5 days in a row. Tell me in the comments if you are willing to take up that challenge, and then come back to this page after 5 days to share your experience. Which foods did you prefer? And did you notice any difference? I look forward to reading your comments!! Great article, relevant and informative! I love all five food items and have at least one of them per week, but not one five consecutive days or even any five (each in any combination) for five days in a row. The health properties of bananas, avocados, pumpkin seeds, almonds, and carrots are enormous and easy to incorporate regularly in ones diets. I have to admit, I did not know that either one of them, if eaten daily could help create happy moods, I have heard of chocolate doing it (but I’m not happy about the calories). Count me in, I am up for the challenge! I will have at least one of the 5 food items you listed at least once a day for 5 days! I have also bookmarked your site to return after 5 days to share my experience. Letting you know which food I preferred (I love them all) and inform you about the effects. If I had one of each of the five suggested food items for five days, is it still possible to develop a happy mood? Banana on Monday, Avocado Tuesday, Pumpkin seeds Wednesday, Almonds Thursday and carrots on Friday. Thank you so much for your insight and informative article! Thanks a lot for taking the time to leave your comment here. It’s great to hear that you love all the 5 foods listed in this article and that you are up for the challenge! So? How did it go? Which food did you prefer? And what effects did you notice? Your plan for 5 days sounds great! Alternating each day is a great idea! Let me know how it went, okay? Phew! Thank god, I do eat 3 of the food out of that list! lol I eat banana everyday with my smoothies will some berries and Chai seeds. Now it’s winter time so I do make a lot stew it’s so comforting and hearty with some toasted baguette yummm. And I also eat dark chocolate covered almond 2 birds in one stone. This might the reason why I am happy most of the time. I will try to eat more pumpkin seeds, maybe with my salad… and add avocado on my salad as well. I will start this challenge after Christmas! Hello Nathalie. Another good article from you! I really loved your post as it was a very interesting one at the same time a very informative and fun to read. Personally I prefer two of the 5 you mentioned. First one is the banana. As it is a great mood lightener for me and I like to taste. Second one is the carrots. I love to eat it raw. There is nothing like the taste of a good fresh carrot inside your mouth. I also like the taste of freshly prepared carrot juice with a bit of beet and lime with a pinch of salt. It is simply divine. Freshly prepared carrot juice with a bit of beet and lime with a pinch of salt? Sounds delicious! I shall give it a try next time I have all these ingredients! You got me curious here! I know there are foods that makes you happy, avocado is one of them indeed, and it is also healthy, what a great benefit it has, no? For me personally, there are more of them that makes me happy, but honestly, they are not so healthy, but I don’t eat them too often, so that isn’t a big problem. I will share this post because I really like it. Thanks a lot for sharing my post. I hope many other people can benefit from it. 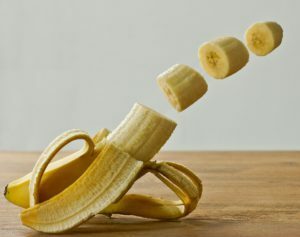 I have a lot of knowledge about the positive effect of Banana in our system. Thanks once again. this is an informative post Nathalie. And thanks also for this extra information about bananas. They’re so healthy and sooooo delicious!! 🙂 Do you eat some regularly yourself or do you prefer other fruit? Hi Nathalie, What a great selection of foods, all of which I love and eat regularly. As you do I find them easy to carry around with me and have as a snack. Not the Avocados, HaHa. That would be a bit much. But the bananas, nuts, pumpkin seeds and carrots are easy to carry around without any problems. Sadly, due to Doctors orders am not allowed to eat chocolate but can still eat all these other wonderful foods. As a child, it was very special to have an enormous avocado tree growing in our back garden, I would climb up and collect fresh avocados for the day. It was at one time our staple diet. Oh my! You had an enormous avocado tree in your back garden!? You were SOOOOOO lucky! That’s one of my dreams! I would LOVE to have access to an avocado tree AND a mango tree!! Can you still go to your childhood house now? In which country was that? Having moved to Northern Europe from sunny Africa in the last 2 years, I have taken a closer look at my diet and the way that I fuel my body. With the long months of little to no sunshine during the colder months, I have often found myself feeling a little down. I have supplemented using all of the items in your post with great success. I believe that nature does provide all the necessary supplements but it takes time and effort to learn about the best combinations. Thank you for sharing your experience and wisdom with me. 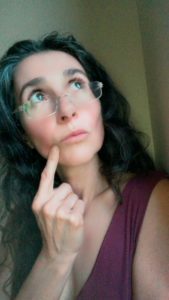 Hope to read more of your comments on other posts on this blog. The foods you have mentioned are now considered Health Foods and are in a lot of diet plans. I think that because they are natural and unprocessed they have all the minerals and nutrients your body needs. I think its great that these foods can actually make you feel happy. Unfortunately for me my mom is severely allergic to bananas so i dont really eat them, but the carrots and pumpkin seeds are excellent snacks and work great in salads. I have heard a lot about french culture.Is it true that a lot of French people eat exactly on time every day? Let me know if you do go, ok? I really liked your idea of the challenge and eating one of the foods everyday for 5 days, great plan! I love bananas, they are great for after a workout or even a hangover! The other foods are all really tasty too, love avocados! It’s great to hear that you were willing to take the 5-day challenge. 🙂 I’m curious… How did it go? OK, i will take up the challenge. We are an active family with what we think are healthy eating choices and these items in the challenge seem great so starting tomorrow my daughter and I will do it. I’m not much of a fan of Avocado so eat them as part of a spread which is not so good. Wow! That sounds exciting! That both you and your daughter are planning to take this challenge! Do let me know how it went and how you felt after the 5 days, ok? I really look forward to hearing back from you! 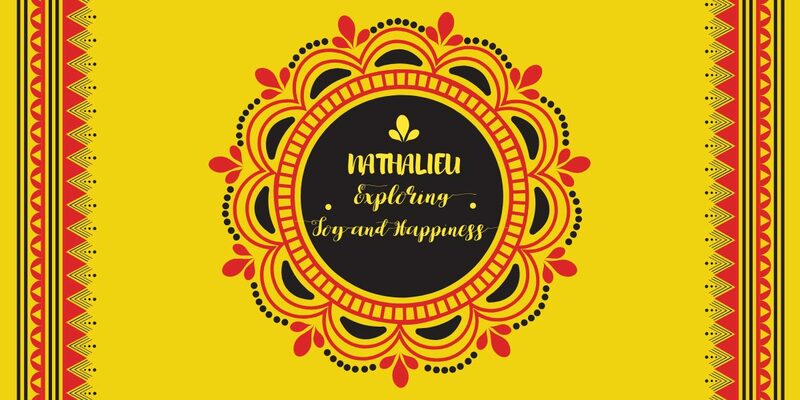 Hey Nathalie, I loved your post. Though I absolutely hate avocados (they just feel like butter with no taste), I absolutely love the other 4 – especially the pumpkin seeds. I used to eat lots of them in my childhood with my granny. Does the pumpkin soup count in your challange? 🙂 if yes, it’s ma favorite soup ever. Also, can I combine these 5 foods (except avocado)? Like making a smoothie from carrots and bananas and adding some almonds on top? I’d love that. Yes, I know what you mean about avocados… get a bad one and it does feel like butter with no taste… and there are mainly bad ones out there. Well, the pumpkin soup does not count in my challenge but please do add it to your menu as often as you’d like! I absolutely LOVE pumpkin soup myself! Everything is so good about it! The color, the texture, the taste… it’s definitely one of my favorite soups ever. Actually, now that I am thinking about it, I cannot think of a soup I like more than pumpkin soup right now… so it could very well be my favorite soup too… wow! Never realized it! I enjoyed your take on foods that make you happy and I’m willing to take up the challenge. In fact, the timing is perfect because I’ve been telling myself I need to get back to drinking green smoothies on a regular basis. My favorite smoothie includes half a banana and some avocado with spinach leaves. And, almonds are one of my favorite snacks. So the 5 day challenge shouldn’t be hard at all. Thanks for the info! Great to hear that you are willing to take the challenge and that the timing is perfect for you. Oh, yes! Banana, avocado and spinach leaves sound delicious! Yummy!! Do let me know how it went and how you feel after the 5 days are over, okay? Awwwnn.. This is a perfect list, I love almond and banana there’s a way it makes me sing when I eat them. 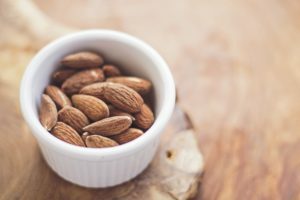 I think almond is best for me, It gives instant energy sometimes when I’m on a task and I want to take a break to eat snack, then I add almond, getting on with the task becomes easier. I have never eaten avocado, you said it’s rich in tryptophan a precursor of serotonin that stabilizes mood. Being a pharmacologist I know little about this, I think it’s gonna be a good try for me. You say you have never eaten avocado. Where do you live? Have you been avoiding them or are they not easily found in your region? Hello Nathalie and thank you for sharing this with us. I knew about healthy effects some foods have on our body, but never knew it can change our mood. I thought only cocoa and chocolate had this effect :). However, I did notice that whenver I eat almonds or pumpkin seeds I have a feeling that someone is giving a backrub to my brain. I am not kidding. Feels so amazing and good. Now that I know it brings more then just pleasant feeling I will definitely eat it way more. Thanks for this little push toward choosing some healthy options each day! I will definitely be taking you up on the challenge and have chosen Bananas and Almonds as my two foods to start with off of your list – here’s to the next 5 days with some extra delicious tryptophan, magnesium, and vitamin E! I already love bananas both plain, with peanut butter, and in smoothies so that one should be easy 🙂 Almonds are also a food i quite like and am excited to try some variations of as just plain roasted with sea salt has always been my goto in the past. It was very cool to learn a little bit more about the french culture. Aside from major holidays I have always been used to a quick lunch on the go as you have started to get to know as well. I can imagine some major benefits to a longer break to eat, rest, and refresh midday though! What is your favourite of the 5 foods you suggested here? I’m glad you enjoyed learning a little bit about the French culture. Where are you from? Let me know how your 5-day challenge went and how you felt afterwards, okay? This is really fantastic info to know on foods that make me happy, I am a farmer so most of the time i eat my own fruits, as for me i also love eating bananas when they are completely yellow and ripe, not when greenish and as for avocados i love pasting them on bread and it is such a nice meal for me, i do not like using salt like you do i just love having the natural and pure meal. I will very much love to see your post on how to remove the skin of almonds. I never knew that even pumpkin seeds can be eaten, hey there is really nothing to throw away when it comes to such foods. 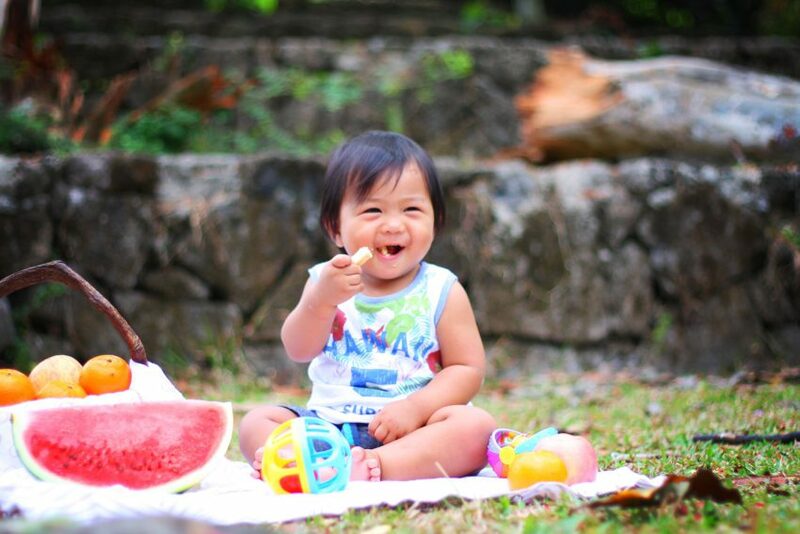 You are soooo lucky to be able to eat your own fruits!! Where are you? Here in Belgium, people mainly grow apples, pears and grapes. They are delicious too, don’t get me wrong! I love eating! It’s great to see that 4 of the foods you listed are among my favorites. I’m not much for pumpkin seeds, but I’ll give them a try. One can never be too happy. I make banana nut muffins or banana nut bread with my ripe bananas. I use them in smoothies as well. I haven’t used avocados in a smoothie. I like adding it to salads and I use avocado slices on my burgers. Now, almonds I can eat all day long. I use it in my baking a lot. I also love sitting down for a Netflix binge while I crack open a couple of almonds to eat. I often snack on baby carrots. I also like shredding it and adding it to my salad. I also add it to sauces and stews when I cook. Thank you so much for leaving your comment here. Banana nut muffins and banana nut bread sound delicious!! I love this list, and it also makes a lot of sense why these particular foods improve your mood. My favorite thing to do with bananas is to mash them up and freeze. Instant delicious healthy and guilt free ice cream. With carrots I love to grate with either pineapple or oranges. I will definitely look into trying it your way too now with the olive oil and apple cider vinegar. Yes! Frozen bananas make a great guilt-free ice cream. When we had a freezer, I would cut up bananas in slices and then freeze them up. And when we had some other fruits at room temperature, I would put the 2 together in a blender and that would make some delicious ice cream too. Grated carrots with pineapple or oranges? Great idea! I shall give it a try! Let me know what you think of the grated carrots with olive oil and apple cider vinegar once you’ve tried it, okay? This is great. I love how you have tied all the foods together. I will take you up on the challenge. But personally I prefer bananas because they taste great, but avocados are also great as they seem to melt in my mouth. There is too much of anything which is good for you. So I agree overeating one thing can lead to not liking it later on, as well it takes time for the healthy feedback to develop in our body. Great list of foods to eat. Thank you very much for your words of appreciation. Yes! I also love the fact that avocados seem to melt in my mouth. Let me know how you did on the challenge, okay? Hey Nathalie! How are you? I really enjoyed reading this article as it was informative, interesting and fun. From my perspective, I tend to think that almonds are certainly best compared to all the others. I love to add almonds to my snack times as they are tasty and give you instant energy. It’s actually said that eating less almonds makes you lose weight whereas eating a handful can help you to gain weight. Thank you for your kind words and for this extra piece of information about almonds. Good to know!